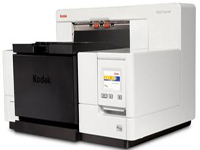 Kodak i5200 Scanner Driver, ISIS Driver, Firmware, Software for Operating Systems. This updated ISIS driver has been developed and tested by Pixel Translations (a Captiva Company) for use with all ISIS enabled host applications. A new version of the Scanner Driver may also be available. Firmware can be upgraded without updating the Scanner Driver but loading the most recent version of the Scanner Driver is recommended. , and filed under Scanner Drivers and tagged i5200, i5200 isis driver, kodak i5200 driver, kodak i5200 firmware, kodak i5200 scanner.